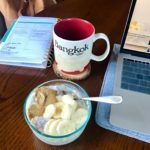 In the comments, I’ve seen multiple requests for more of these “behind the scenes” of intuitive eating posts – ask and you shall receive! I’ll try to do these once a month going forward. These posts certainly don’t illustrate what you should eat, everyone is different. Rather, I hope reading the thoughts that go into a food decision helps in your own intuitive eating journey as you navigate learning to nourish yourself based on internal vs external cues. 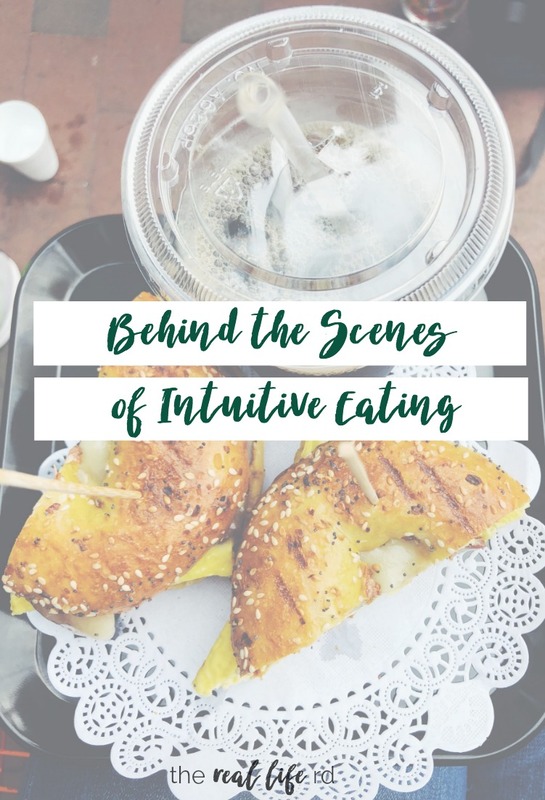 In the beginning of your intuitive eating journey, it can feel like you’re hyper focusing on food choices. And it can feel really murky and grey – like you’re walking around in a dark room. If that sounds familiar, you’re in a good place 🙂 As you learn new skills and learn your body more, the decision making shifts and becomes more subconscious and intuitive. Wherever you are, even if you’re wresting with the idea of intuitive eating, know that you are right where you need to be. 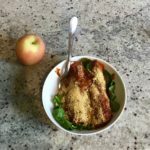 The meals/snacks I’m showing you in this post are from Monday. On Sunday I spent an hour baking up some snack things because I was sick of eating granola bars and pretzels and peanut butter for snacks. So I made some granola (using almond, walnuts and coconut as mix ins) chocolate chip almond butter cookies and banana bread muffin tops. I ate some of each of those on Monday and it was so much more satisfying. Sometimes granola bars are really satisfying for me, but after eating them a lot they lose their luster. I went to bed Sunday night, knowing I wanted granola for breakfast so that was a given. 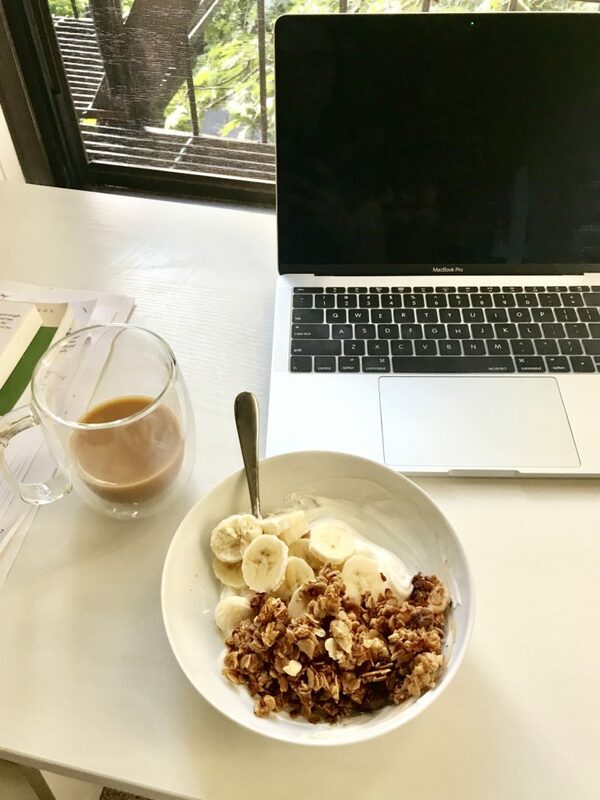 I also had more clients than I ever see in one day on Monday starting at 7am, but I’m working two days at my NP job so we had to condense scheduling – given that, breakfast had to be quick. And lastly, I was planning on exercising mid morning when I had an hour gap in between clients because it was so nice out in the morning so I didn’t want to get too full. I thought having a slightly smaller breakfast and then a bigger mid morning snack would work better for me. I think this is a good example of bridging some mind knowledge with body knowledge. It was warm out so a no-cook, cool and creamy breakfast sounded good. The granola has nuts and lots of coconut oil and shredded coconut so that provides fats + carbs. Whole milk yogurt = fat + protein. Banana = carbs and vitamins. And coffee with half and half, always. I was probably like a 6 to a 6 1/2 on the hunger/fullness scale after this meal. Full but not a “meal full” which was the goal since I was going to be moving my body soon after. I had a few clients, got in some movement, showered and then had a hearty snack before my next client. Because I had just baked, I knew I wanted a banana bread muffin top and something cold and crunchy to go along with it. I had eaten sweet things up until this point so a savory snack sounded good to eat with the muffin. I’d say these muffin tops are as filling as a Larabar – not super filling, but enough to hold me for an hour or two in between meals. 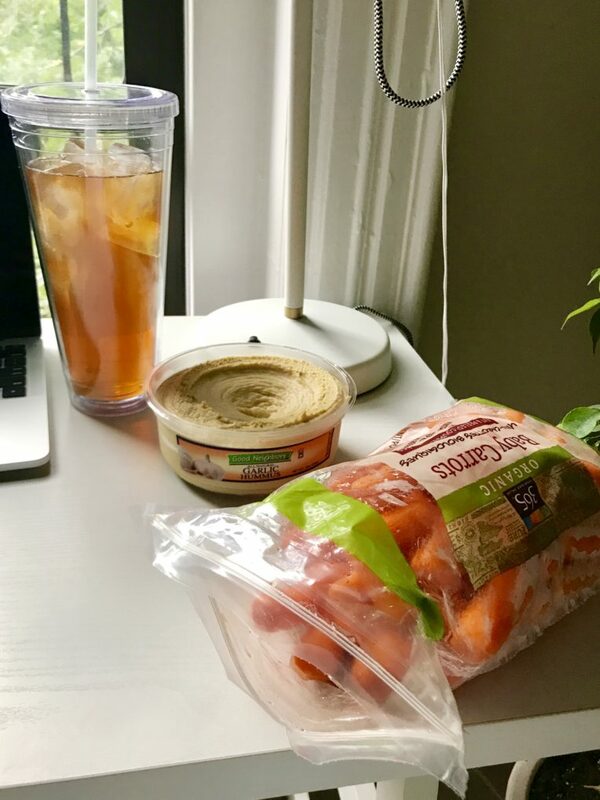 I had about 2 1/2 hours before a lunch date with one of my interns, Hannah, so I grabbed a few honey almonds and then ate carrots + hummus for savory, cool crunch. Muffin = carbs and fats. Carrots + hummus = vitamins and a little bit of fat and carb. Unless you’re eating a TON of hummus, I tend to think of hummus as primarily a fat source vs protein source since tahini and olive oil contributes more to the macronutrient profile than chickpeas. I went through a phase where carrots just didn’t do it for me, but now that it’s summer, cold carrots with cool and creamy hummus have been back in rotation and I’m into it. I also filled up a tumbler (I found them on Amazon for cheap and love them even though they are huge) with a mix of half iced tea and half lemonade –> favorite summer drink lately. I wrapped up my morning clients and headed to Dig Inn for lunch with Hannah! The weather was gorgeous so we sat outside. I ordered greens + brown rice as a base and then sautéed kale with onions because I was in the mood for hot sides vs cold sides (even though it was sunny it was actually cool and breezy out by yesterday afternoon) and their kale is tasty. I was craving more carbs for lunch so went with sweet potatoes as my second side. I went back and forth between meatballs or salmon for protein, but salmon won out simply because I never buy salmon at the grocery because it doesn’t last all week for leftovers and it’s $$ so I decided to mix it up and get salmon since we eat ground beef often. As I walked to lunch I realized that I didn’t bring any afternoon snacks with me (that never happens!) and I was going to be out for the afternoon seeing a client and doing some work before getting home. Knowing this I intentionally ate until a little past comfortable fullness. 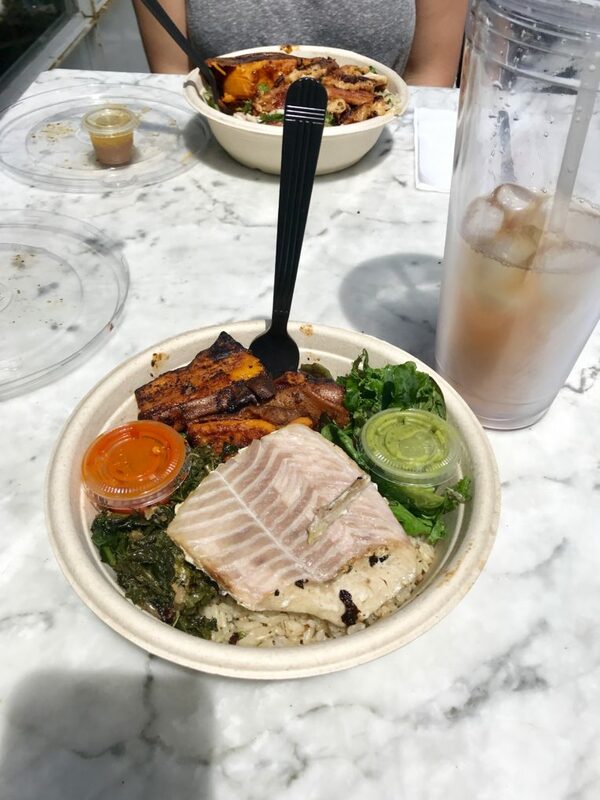 Coupled with the hefty serving of sautéed kale (a lot of kale sometimes means some bloat) I felt a little uncomfortable after this meal, but I knew that feeling would pass and I would get hungry again. Looking back I think it was more veggie bloat/fullness (which is normal when you eat this much fiber in one meal) because that full feeling subsided within 45 minutes and I was hungry for a snack within 3 1/2 hours. 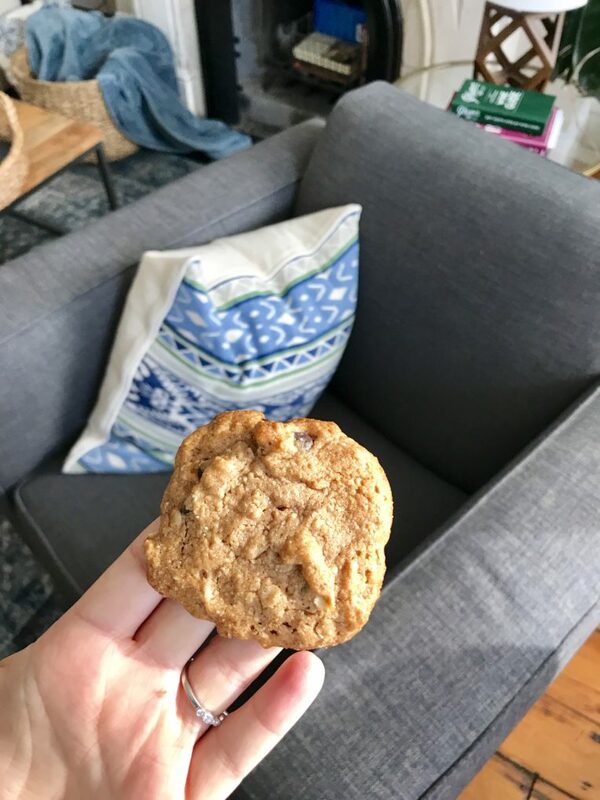 I got home 30 minute later after hunger hit and had an almond butter cookie from the freezer because I just baked them and that sounded tasty + a big handful of grapes. Dinner was in less than 2 hours so I needed something to tide me over but not keep me full for too long. The cookie has a good bit of fats so I knew that would be satiating and the grapes just sounded refreshing. 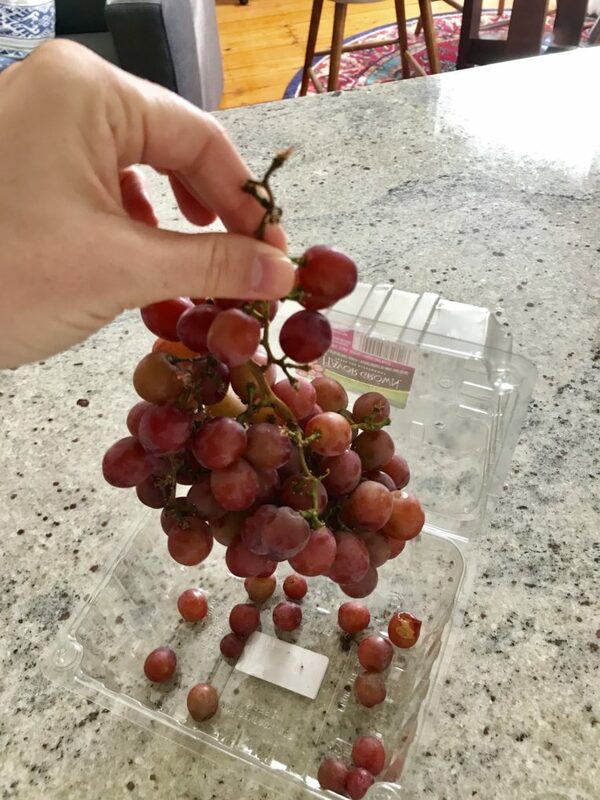 If I would have just eaten the grapes I would have been hungry again in 20 minutes since grapes are simple carbohydrates – meaning they satisfy hunger for a short period of time and give you quick energy, but you’re hungry again soon after. If I was making dinner and feeling really hungry, I would snack on some grapes (or other fruit) to help calm that intense hunger without getting “full” while dinner was cooking. 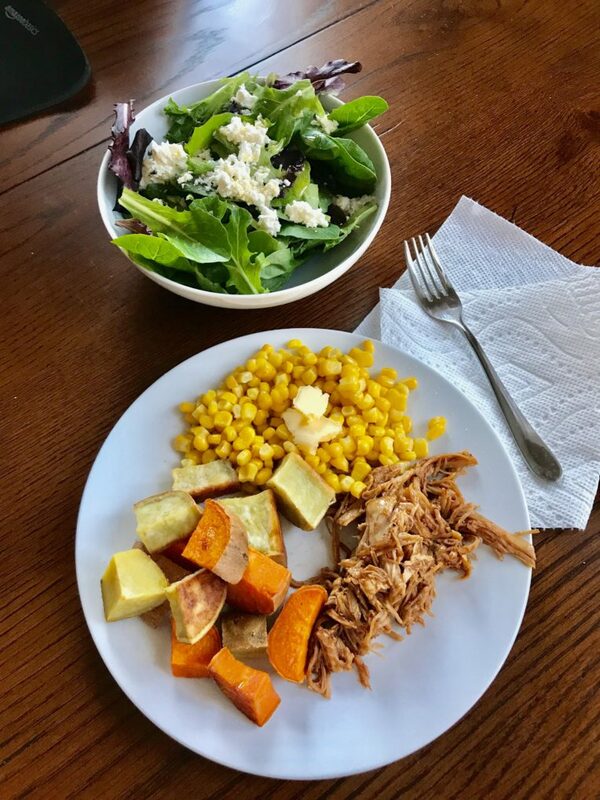 On Sunday when I was thinking about what to plan for dinners this week, I was in no mood to exert myself in the kitchen so I came up with a quick and easy meal – bbq chicken, corn, salad and roasted potatoes. I threw the chicken in the Instant Pot for 12 minutes, then shredded and added bbq sauce. We had a frozen bag of corn that needed to be used up. Chopped the potatoes, tossed in oil and sea salt and roasted until soft and golden and my version of a “salad” was mixed greens with feta cheese and dressing leftover from the dinner party we hosted last Friday. I think I spent 10 minutes “cooking” this meal. But what WAS satisfying was leftover ice cream cake that I made for Nick’s birthday. I ate until a 6ish on the hunger/fullness scale at dinner so I had plenty of room for a good serving of ice cream cake. For the cake, I layered brownies on the bottom, then a layer of vanilla ice cream, then crushed cookies mixed with caramel sauce, more vanilla ice cream, and topped with whipped cream and chocolate shavings. I just bought everything at TJs so there was zero cooking involved. It was epic. Usually I’ll have a bedtime snack about an hour or two after dinner and eat till a 7ish on the scale, but dinner was a little later which is why I saved room for dessert which took me from feeling full to 100% satisfied and to that 7ish mark. 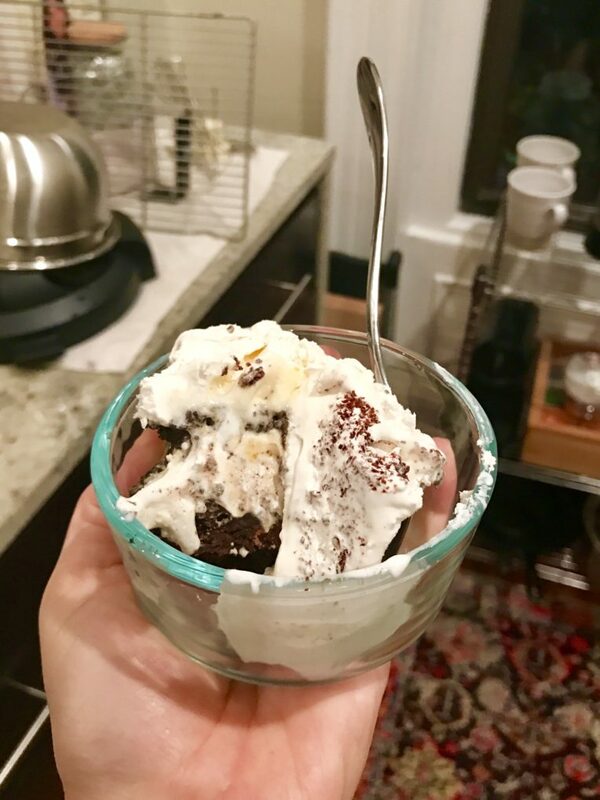 I’ve eaten this ice cream cake almost every night since making it and knowing that I can have it for breakfast, snacks or a bedtime snack allows me to feel satisfied without eating the whole thing. A few years ago, this would have felt impossible so if that’s the case for you, that’s okay. 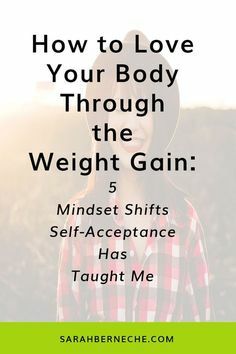 Eating ice cream and baked goods after a nourishing meal or at least when I’m not feeling really hungry and eating them often has been key for me to feel fully competent and calm versus chaotic and helpless around these foods. Intuitive eating isn’t about perfection and it’s not about eating only when you’re hungry and never having moments of feeling too full. There is a lot of nuance with nutrition. Intuitive eating will look different from person to person and from day to day. No day is ever the same! Our bodies are dynamic and so their needs and hunger change for reasons perhaps known to us, but also for reasons we will never know. This is all one big learning process. I’d love to hear your thoughts in the comments and what you’re learning! Happy weekend! I love reading these! Especially the snack parts. I struggle with getting snacks in between meals because of IBS. After lunch, I am typically bloated and a bit uncomfortable and don’t usually get hungry. My dietitian and I are focusing on making sure I am getting adequate nutrition because I am trying to get pregnant and my thyroid levels are still a tiny bit low (T3 and T4, TSH is normal. Have been trying for 8 months and am not even sure I’m ovulating). It’s so frustrating! However, I am trying to give myself credit for how far I have come. I haven’t eaten this much and this consistently in years. My recovery journey is still unfolding, but it’s so nice to say I am finally moving forward. Thank you for sharing Hillary! Yes focusing on how far you’ve come can be such a helpful motivator – it can be a long journey – know that I am thinking of you and your RD sounds wonderful! I love reading these, Robyn. I ended up buying the intuitive eating book over the weekend and it’s been helpful to just read and look into more. I think it’s getting a bit easier to step into it all and these posts really help give more clarity and help me see that my way of thinking is correct. Thank you for posting! That ice cream cake sounds amazing! So glad this is helpful for you Bekah! 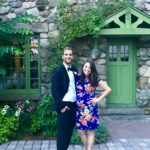 Love that you are finding these posts helpful Angela and that they are helping you to see that IE is certainly and ebb and flow and never looks the same! Yes, love these posts! For people who have a tendency to get too rigid seeing examples of flexibility with full explanation is very valuable! Flexibility is a reoccurring theme with nutrition and health – glad this resonated! I agree! Seeing how much flexibility you can have in your diet from day to day is extremely helpful. I tend to think about nutrition sometimes as something that is purely black and white. Planned snack this, planned that. Or, I’m not hungry enough. To know how much freedom you can have with food is empowering! I absolutely love how intuitive eating teaches you things about how YOUR body feels and functions best. I used to always use 90% head knowledge regarding snacks, and it actually used to stress me out! I had to make SURE I had a snack available for the afternoon, if I realized I didn’t have one I’d panic thinking I would be starving. But what IE taught me was that I was typically way undershooting my hunger at lunch time. When I actually eat to fullness, I’ve found I don’t always need a snack. Sometimes! But not always. 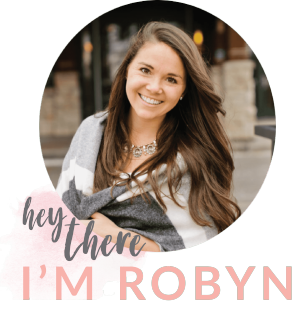 Love these posts, Robyn, thank you! It is all about YOUR body and how yours will be different from someone else’s – so true Mary! I definitely enjoy these posts as well! Important for me to keep in mind that everyday is different and that what fills me up on one day may not cut it the next! I also love these posts and like someone mentioned above, it helps with realizing that IE is flexible and doesn’t look the same every day. Also, eating ice cream and baked goods after a nourishing meal and not feeling guilty is HARD! I am ok with a few squares of chocolate but a full on baked good is tough! I have similar feelings around baked goods too! It’s helped me to just realize that baked goods are delicious, and what’s life without delicious things, ya know? It’s definitely a process, but giving my body what it needs has done wonders for my body. 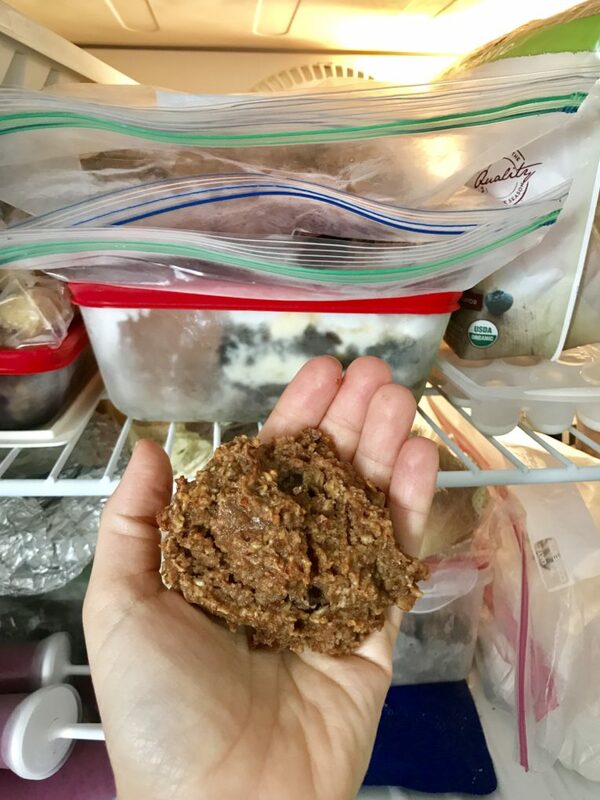 I know Kylie Mitchell at immaeatthat talks about this, but incorporating a baked good or sweet treat into a snack everyday can help you realize that nothing bad is going to happen from eating that food. Hi Angela, thanks for taking the time to answer. It IS a process indeed. 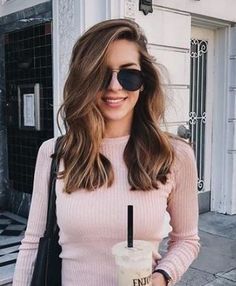 I will check out Kylie’s posts, it’s definitely harder for certain foods than for others, For example, I am ok with having banana bread for breakfast or dinner because it’s instead of a meal but as a snack it’s a whole different story! I guess that comes from the inexistant rules years of dieting have ingrained in me. As robyn says: plenty of time, patience and trust will heal! Thanks for sharing! I love your insight on this! Also, that dessert looks delish!! I’m a big fan of brownies and that looks like the whole next level! Yum! I can’t tell you how much I love you making intuitive eating something that’s kind of fun to do, to think through, but no obsess over. 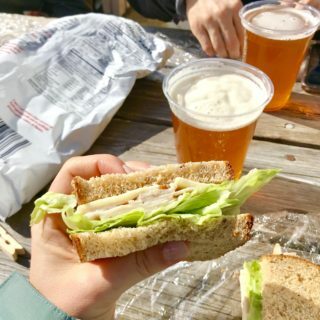 I don’t ever get from these posts that you ‘have’ to eat something, but rather that you want to eat something because your body is craving it. Love these posts so much!! 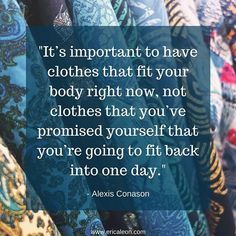 It is so helpful as I go through my own intuitive eating journey. I especially loved your notes on where you were on the hunger/fullness scale. 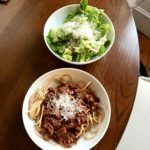 We had a very similar dinner this week – I made BBQ pulled chicken in the instant pot and put it with everything! I love these posts, too, but specifically for how you spell out your thought process. I give myself too much freedom and flexibility, so my interest in these seems to be different from a lot of the other commenters. 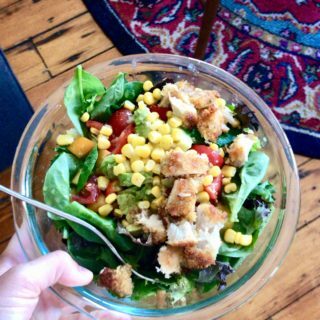 I know the concepts, but always looking for how to make it my default way to approach eating. Reading how you think through it is definitely helpful! I love these posts, & find myself going back to old ones as a source of positive reminders/affirmations when you haven’t posted one in a while. And I almost always take something new away on the second read! In this one, it was that you had sweet potatoes for lunch because that’s what sounded good, and more potatoes for dinner because that’s what worked. 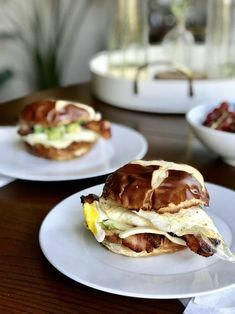 And I bet you wouldn’t have cared even if you’d had hashbrowns for breakfast 🙂 I almost always crave variety, but there are probably times when making that happen is more trouble – either logistically or mentally – than its worth.